The Inn has three guest bedrooms plus a two-bedroom suite to sleep up to 10 individual room guests or 13 Inn rental guests. All of these bedrooms offer private baths, air conditioning and smart TVs. The Tavern/Dining Room and the Living Room also have smart TVs. The entire Inn has free wireless Internet access. The Phoenix Inn is open year round. There are a variety of stay options to meet the specific needs of guests. Rates vary depending on the season and type of stay. 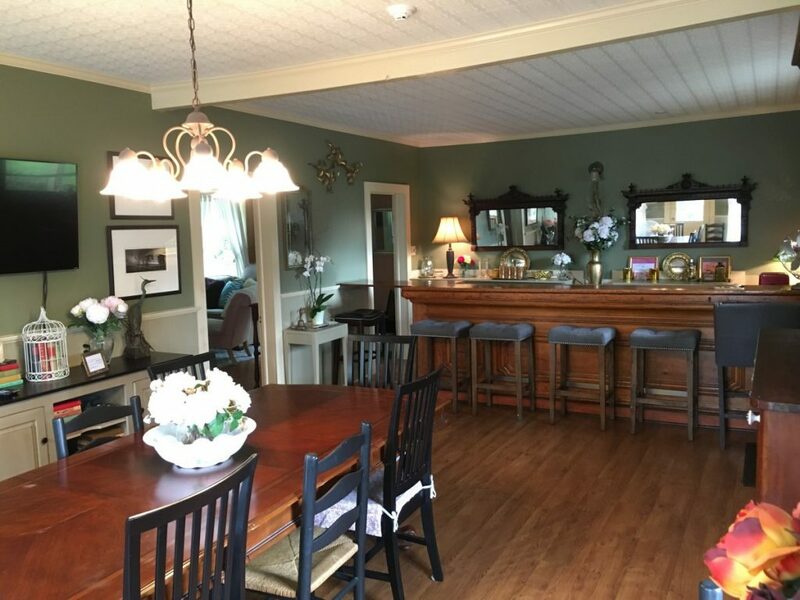 Guests may rent the entire Inn for their group of up to 13 people. There is a two night minimum for whole Inn rentals. Guests may also book individual rooms. There is no minimum length of stay for this option in the “off season.” During our “peak season,” there may be a minimum length of stay. 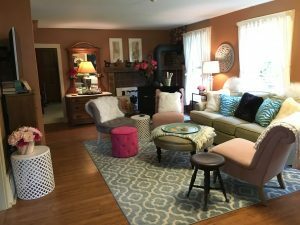 With a room rental, in addition to their private room, guests have use of the Inn common rooms, such as the living room, sitting room, Tavern, backyard and front porch. Guests may also use the microwave, refrigerator, coffee maker, sink, and dishes located in the Inn kitchen. Entire Inn and individual room rentals do not include breakfast. Guests may add breakfast to their individual room stay for an additional charge. If you would like to hold a special event at the Inn, please email thephoenixinn@gmail.com or call (607) 282-4143 to coordinate your visit. Thank you. If you would like to include breakfast with your stay, please select this option when you book through the reservations page. Breakfast includes a hot dish such as French toast, eggs or pancakes served with a breakfast meat. Coffee, tea and juice, cereal, fruit, yogurt and toast are also available. If you let us know about your special dietary needs ahead of time, we would be glad to accommodate you. Breakfast is at 9am unless otherwise arranged. Our nightly rates vary based on room and season, ranging from $70-$249/night. (Induction weekend rates not included). We accept payment by check, cash, credit card & money order.